We Select Dresses is a globally curated edit of the seasons must have dresses. Shop our dress edit of the seasons best dresses selected from the worlds leading online fashion stores. 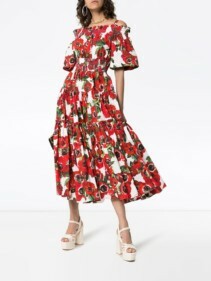 We select the best dresses online – the must have curated dress edit, including event dresses for party, cocktail, black tie, prom, wedding, wedding guest, vacation, beach and festival. Heading the team at We Select Dresses are the creative/buying team and former owner/buyers of London’s internationally acclaimed womenswear fashion store Koh Samui. The creative buying team have collaborated and bought from the world’s luxury womenswear fashion brands including Balenciaga, Dolce & Gabbana, Chloe, Prada, Miu Miu, Marc Jacobs, Maison Margiela, Stella McCartney, Fendi, Mulberry, Missoni, 3.1 Phillip Lim, Bottega Veneta, Isabel Marant, Markus Lupfer, Roksanda, Roland Mouret, Vanessa Bruno etc. The creative buying team have sat on numerous fashion select committees and judging panels, including the British Fashion Council and the British Fashion Awards. Celebrity customers that have been dressed or styled by the creative buying team at the Koh Samui womenswear fashion store include: Alexa Chung, Ashley Olsen, Ashley Simpson, Beyoncé Knowles, Courtney Love, Daphne Guinness, Gemma Arterton, Goldie Hawn, Helena Bonham Carter, Jada Pinkett Smith, Kate Hudson, Kate Moss, Kate Winslet, Katie Holmes, Kelly Osbourne, Kiera Knightly, Kirsten Dunst, Kirsty Hume, Kristen McMenamy, Kylie Minogue, Lady Gaga, Lily Cole, Linda Evangelista, Liv Tyler, Madonna, Mary-Kate Olsen, Mena Suvari, Milla Jovovich, Natalie Portman, Naomi Watts, Penelope Cruz, Scarlett Johansson, Sienna Miller, Tamara Ecclestone, Uma Thurman, Vanessa Paradis, Victoria Beckham, Winona Ryder.